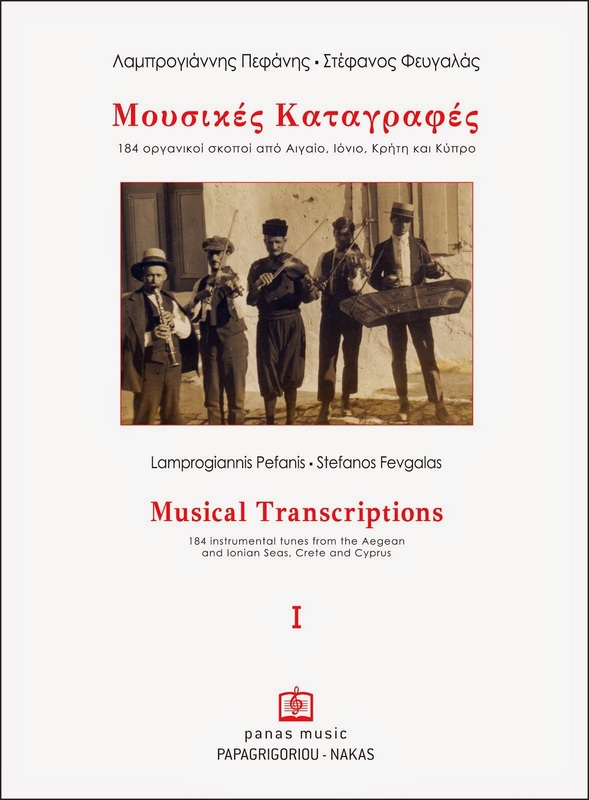 This volume presents in musical notation some of the instrumental musical tradition of Thrace, Macedonia, Epirus, Thessaly, Central Greece and the Peloponnese. The pieces here include instrumental tunes, and some instrumental versions of songs that depart to a greater or lesser degree from the song format. 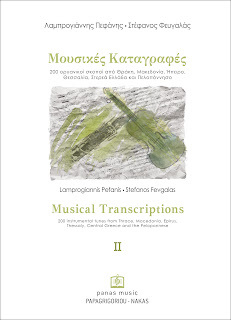 Our intention here has been to give as clear a depiction as possible of the musical mode of expression of earlier generations, while recognizing that this mode of expression reflects the collective taste and musical aesthetic at particular moments in the past. 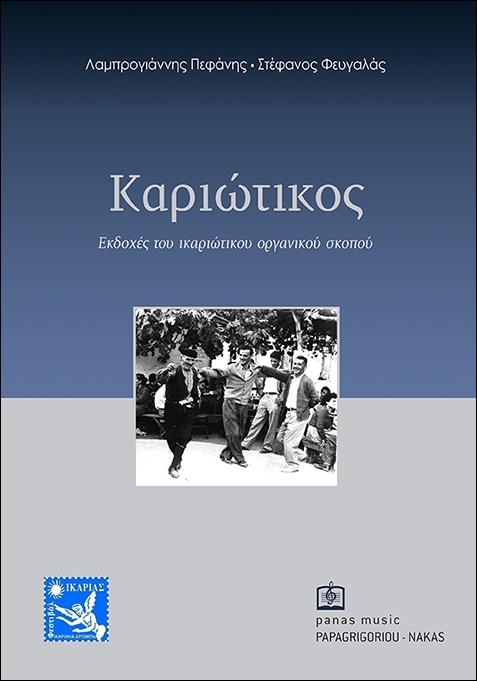 The criterion for inclusion was the degree of completeness, i.e. we required that the specific version of the instrumental tune be set out as fully as possible. 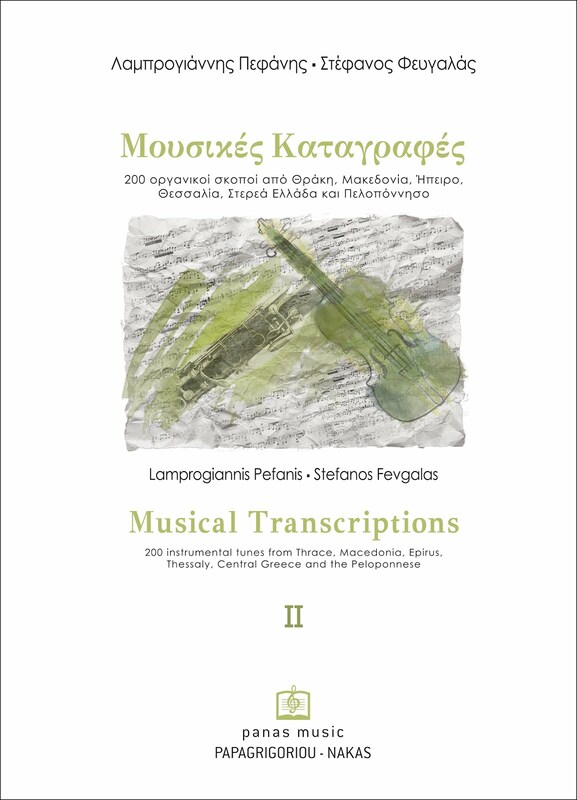 The material presented here can be analyzed from various perspectives (musical modes, form, melodic movement and embellishment, and so on), but can also serve as material for teaching the art of playing musical instruments.